For the past three years, my team has been working to build a data democracy within IBM Cloud. This means ensuring the right data is accessible to subject matter experts in a format which they can easily use to form data driven opinions (without becoming data scientists themselves). In a previous blog post, I dove into this subject in great detail. The post reviews the need for a self-serve data system, alternative approaches and a formula for success. Now I’m excited to share with you all that I’ve been taking my data democracy pitch on the road! The “Making Data Simple” Podcast! Recently I was interviewed about data democracy on the “Making Data Simple” podcast! How fun is that? In this podcast series, host Al Martin talks with guests about a wide data concepts in an effort to make data more accessible and fun. 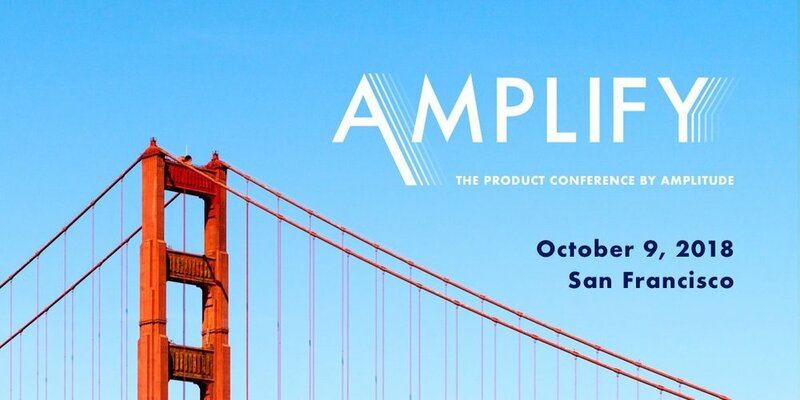 Tomorrow, I will be speaking at the customer day for Amplify - the product conference by Amplitude in San Francisco. I’m a little bit nervous as it’s one of the first talks of the day. But I take comfort in knowing that these are my people. We all use the Amplitude product, which means that we are all invested in the concept of data democracy. They are likely living a parallel journey to mine. I’m very excited to meet other data leaders with similar ideals at this conference and hear about their struggles, strategies and future plans. Amplify 2018, a conference focused on building and growing products through data. Lastly, myself and my colleagues were just accepted to speak on the subject of data democracy and growth transformation at Think 2019! Think is IBM’s flagship business and technology conference. If you’ve never been before, I highly recommend going. Here you will have access to small and large talks, formal and informal talks, technical sessions, hands on labs, awesome entertainment and more. It really is amazing! For reference I blogged about my pre-conference excitement last year. The speaker list and agenda has not been posted yet, but we’ve been confirmed as speakers! Stay tuned for more information. Sign up to attend! Thanks for following along with this blog to learn what I’m doing right now with data democracy. Please have a listen to the podcast linked above and let me know what you think!